It has to be something far deeper than just the money you can make because if money is your only driver, that is temporary. 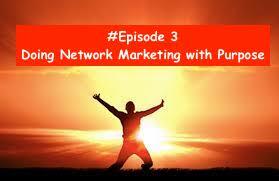 To do network marketing successful the purpose has to be to look beyond yourself and have a heart of service. To create an army of people who to do Network Marketing with purpose, which will leave a generational legacy. 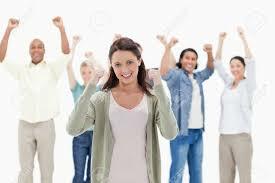 Everyday ordinary people get involved with network marketing and because of the way of the industry is, it gives them a chance to experience a whole different quality of life. Does that mean that everybody who gets involved is going to be successful? This is because to do network marketing with purpose is always going to have to be coupled with having a good work ethic. This is where the wheat is separated from the chaff. The chaff look for a get rich quick scheme whereas the wheat are looking to change generations for long periods of time. Purpose causes you to see the things that are not as if they are. To do Network Marketing with purpose causes you to see yourself as a 6 & 7 figure income earner, even when you have no money in the bank. Network Marketing allows you to write your future and if your purpose driven it will allow you to impact massive amounts of people. SO DO NETWORK MARKETING with purpose and see how your life can change! I hope this has encouraged you to continue if you were thinking about quitting. Also I hope it has empowered you to build an even bigger organisation if you are a top income earner. PS, If you want to get access to a private VIP training that was given by a legend in the Network Marketing industry, who is DEFINITELY building his business with purpose, then just CLICK HERE!